Okay! Here is the culmination of scientific research and many years of pharmacy experience to sift out what really works for cold prevention and what doesn't. I would venture to say that most of the recommendations in this list are not going to shock any of you. Most of them are common sense. Of course, knowing you're supposed to do these things and actually doing them are two totally different things, right? But seriously, if you regularly follow all of these recommendations, you'll be amazed at the difference. They're all important, but I would say that #1 and #6 are probably the most important. So for sure wash your hands before you eat. But also try to do it after you've been in "high-risk" situations: around someone you know who already has a cold, in a doctor's office or hospital, after wheeling the shopping cart around the grocery store... I think you get the idea. For the same reason, keep your hands away from your face. If you don't touch your eyes, nose or mouth, the cold virus can't get in. If you already have a cold, please please wash your hands even more. The best cold prevention is to have the "Typhoid Marys" not spread it around in the first place. Every single time you blow your nose, wash your hands. 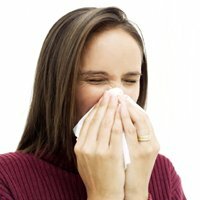 If you need to sneeze or cough, cover your mouth. But NOT into your fist- you get all the germs on the inside of your hand and then you just spread them around to everything you touch. Cough or sneeze onto the back of your hand or your forearm. When you're sleep-deprived, your immune system suffers (along with many other things). Everyone is different, some people only need 6 hours a night- others need 10. I'm sure you've figured out how much you need by now. Even an hour or two less increases the stress on your body and it adds up. I know you've all heard this a million times before. Yet still MOST people are going through life chronically dehydrated- an estimated 75%. Your body functions best when it's fully hydrated. Even mild dehydration will slow down your metabolism, speed up aging, reduce muscle recovery after exercise and reduce resistance to disease (hence its importance in cold prevention). Dehydration is also a major cause of headaches, daytime fatigue, muscle cramping, mid-day munchies (thirst is often mistaken for hunger), and problems with concentration and memory. Do I need to go on? Your body is mostly water- this should not be a surprise for anyone. If you're feeling thirsty, you're already dehydrated. And don't even get me started on carbonated drinks... Most people drink way too many of these. If you're having more than 1 per week (and that's being generous), it's too much in my opinion. Definitely daily is insane. There is NOTHING good about these things (and lots of bad things). Added to the huge list of problems that they cause, they are also dehydrating (even if it's not caffeinated). Nuff said. I know you've all heard this a million times before too. Yet still MOST people are going through life as virtual couch potatoes. How do you expect your body to function optimally if most of it never gets used regularly? Would you expect your car to run properly if it hadn't been used in several years? If you're "lazy", your immune system is lazy too. When you exercise regularly, your body keeps everything in your body in top shape (including your immune system), not just your heart and muscles. That's why you need it for cold prevention. Okay, first I tell you to exercise, then I tell you to relax. No, these do not contradict themselves. First of all, regular exercise decreases your body's release of "stress" hormones (cortisol) and increases release of "happy" hormones (endorphins). And it's mental relaxation and stress I'm talking about. People that run themselves into the ground (you know the kind I'm talking about) get sick much more often because their immune systems aren't functioning properly due to the constant presence of "stress" hormones in their body. So kick back, relax and take some "me" time. And if anyone asks, just say you're doing some cold prevention. 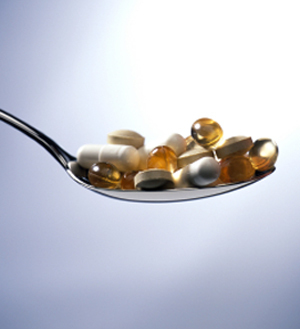 Take a high quality supplement that has LOTS of antioxidants. This would actually be my #2 most important thing to do for cold prevention. But I'm putting it last on my list so you'll remember it. Click here to see specifically how antioxidants are great at boosting your immune system. Now, my husband and I get only 1 cold per year and our children get only 2 or 3 (they're still young and in school and haven't figured out the importance of rule #1 yet- handwashing!). AND when we get a cold now, it's barely noticeable- your nose is just runny for a few days. No more being stuffed up and I don't even get a cough anymore- we don't feel miserable and it doesn't even slow us down. Done and over with in 4 days. That's the bonus of having an optimally functioning immune system- it gets going faster and doesn't let the virus get too far along. So for cold prevention alone, it's totally worth it to take high quality antioxidant supplements. The added health benefits and disease prevention you'll get are an added bonus (albeit an important bonus). Remember to bookmark this page and remember the password (ihatecolds) so you can get back to it if you want. Or you could print it out too.